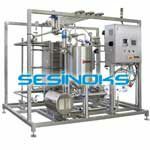 Winebrane is a system for accurately managing dissolved gas concentrations in wine. 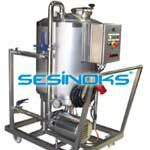 The most common applications are de-carbonation, de-oxygenation, carbonation and adjustment of CO2 in white, red and rosé wines. The system is installed before the bottling stage to adjust the gas concentration of wine before its storage or bottling process. 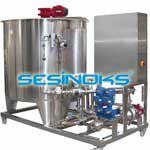 The main component of the system is a hydrophobic membrane system, only gases with low molecular weight can pass through the barrier, thus the structural properties of the wine after the gas adjustment remain unchanged avoiding the loss of aromatic components. 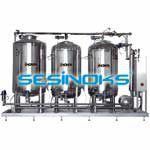 The design is CIP cleanable (alkaline solution and disinfectants), units can also be sanitised with hot water. Automated units are provided with a touch screen to control and display the production process and a PLC of an automatic system that controls and manages the gas adjustments (PID adjustment loops). 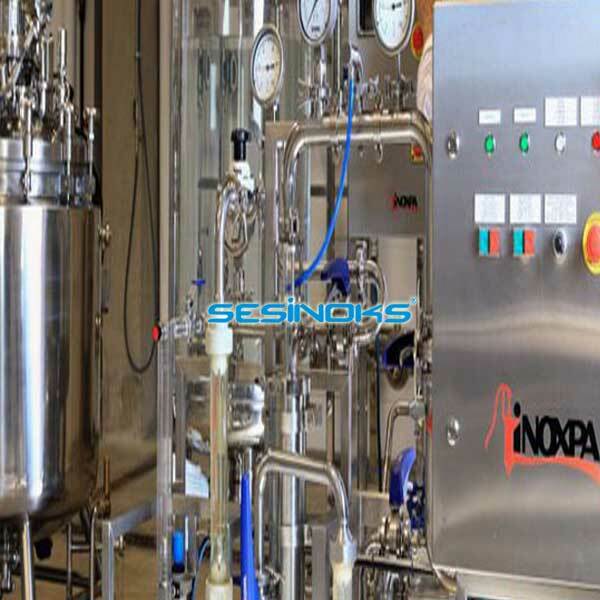 Every unit is provided with all the instrumentation necessary for a precise gas adjustment like flowmeters, temperature sensors, pressure transducers, CO2 analysers and actuators (valve regulating gas entry). It can optionally be equipped with O analysers to display the O2 concentration on the touch screen. Pastörizasyon ünitesi (HTST) süt ve süt ürünlerinin yanı sıra alkolsüz içecekler ve meyve suları gibi diğer gıda ürünlerinin ısıl işlemi için tasarlanmıştır. ABH in-line flotasyon sistemi, fermantasyon aşamasından önce basma aşamasından sonra zorunluluğun basit ve hızlı bir şekilde netleştirilmesini sağlar.